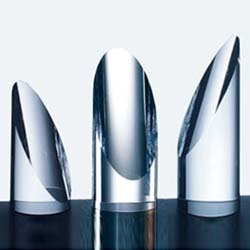 The Crystal Cylinder Tower Award is a classic crystal tower award at an affordable price. Included in the cost of this piece is etching of your text, logo, and personalization, and gift box. Available in three different sizes.